We had a surprise visit from Santa Clause at our Inn this summer, not something you expect in July on Cape Cod. Our guests come from around the world, but this is our first guest from the North Pole. Yes the Polar Express runs from Hyannis to Sandwich at Christmas time, but this time Santa came in a Toyota, I think. And truth be told he only came from New Hampshire. What I in the world am I talking about? I normally check our guest in when they arrive, but I was away from the Inn and missed seeing our newest guests until breakfast the next morning. As the white haired couple were seated, I thought there was something very familiar about the man with the long white beard and shoulder length flowing white hair. With his wire rimmed glasses and a twinkle in his eye, yes for all-the-world he looked like Santa Clause. He in his bright red tee shirt and her in a red summer dress, they looked like Mr. & Mrs. Clause on a beach vacation. Over breakfast, we learned Dan Greenleaf is a professionalSanta in New Hampshire and his wife, Diana, does play Mrs. Clause. Another guest with thinning gray hair and spotty gray whiskers expressed his suppressed interest in playing Santa and peppered Dan with questions. Dan happily shared information and suggested visiting the website of the New England Santa Society, an organization he help found to bring more professionalism to the business of being a Santa. The NESS holds regular meetings where Dan has presented on topics such as liability insurance and how to price you services. Recently they held a meeting on Cape Cod and I remember seeing a picture in the local paper of these Santa look a likes bowling in Mashpee. Dan had attended that meeting and was in the bowling picture. Dan also proudly pointed out his affiliation with the International Brotherhood of Real Bearded Santas, obviously one more very important selection criteria to think about as you look to engage aprofessional Santa for those Holiday parties. I think Dan and his associates are in a league above the Mall Santa. Dan is more like the Kris Kringle character played by Edmond Gwenn in the 1947 Christmas classic, Miracle on 34th Street, than the Bad Santa as played by Billy Bob Thornton, a movie not destined to be a true classic. Also, please make note that Billy Bob’s character was not a real bearded Santa. Jan and I have promised to be good for the rest of the year in hopes that Santa Clause with fill our stockings with Christmas joy this year. 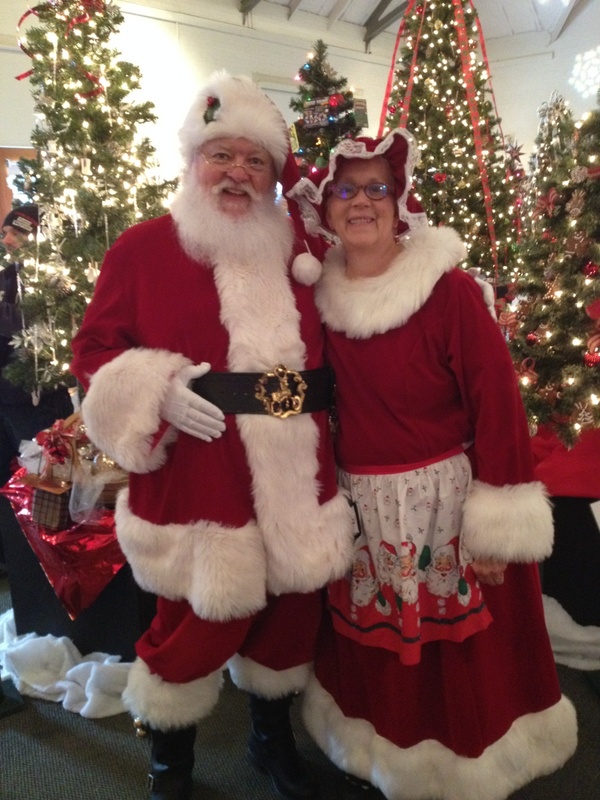 Come visit us at our Inn and you may even see Mr. & Mrs. Santa Clause on their summer vacation at our in; a very special way to have Breakfast with Santa.